The Burnetts who went to the north east of Scotland did so after having been granted land there by the king, Robert the Bruce, for having supported him against Edward I of England in the War for Scottish Independence. In fact, the chief of this branch of the family, Alexander Burnard (Burnett) became an able and valued supporter of the Bruce and was rewarded with grants of part of the Royal Forest of Drum as well as neighbouring lands which had been forfeited by the Comyns. 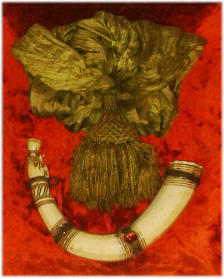 As his badge of office as Royal Forester of Drum, Alexander was given the Horn of Leys. On the lands to the north of the village of Banchory, there lay a stretch of shallow water known as the Loch of Banchory or the Loch of Leys. In the center of the loch was a crannog (artificial island), which had been a place of refuge for centuries. For the first 200 years of the Burnetts’ residence in the area, this crannog provided the site for the family’s principal stronghold. The loch is now drained and nothing remains but the island mound. The crannog may be deserted but the memory of the Burnetts’ first home is kept alive in the traditional Scots territorial designation of the head of the family as “Burnett of Leys”. The crannog provided the Burnetts with security, and since the family was not politically ambitious, life was peaceful on the Loch of Leys. The family spent most of its time in the pursuit of wealth and land, through judicious marriages and friendly relations with the church, in particular the Abbey of Arbroath, whose land covered much of the territory of Kincardineshire adjoining the Burnett estates. The Burnetts did not seem to have played much of a role in national affairs, preferring to keep their estates (and their lives) in hand. However, the 4th Laird, Robert, became Deputy Sheriff of Kincardineshire and is believed to have fought for the King against the island rebels in one of the bloodiest and most savage encounters in Scottish history (The Battle of Harlaw Hill in July 1411). His son, Alexander, was rewarded with Banchory as a free barony by fighting for James I (who was murdered three months later). In 1543 a marriage was arranged between the 9th Laird, another Alexander, and Janet Hamilton, the natural daughter of Canon Hamilton of the Abbey of Arbroath. As her dowry Janet brought a substantial amount of church lands. In later years, much land was added to Janet’s dowry through arranged marriages and outright gifts. In 1560 Alexander and Janet decided that a better home was needed for their family, so the building of Crathes Castle began (taking 40 years). In 1563 Alexander fought for Mary, Queen of Scots, at the Battle of Corrichie. Alexander’s son and grandson both died in quick succession after him, so his great-grandson, also named Alexander, succeeded to the lands and was finally able to complete Crathes Castle. This Alexander was a most benevolent man who built a new church in Banchory and who gave much money to the poor. The next Laird, Thomas, succeeded his father in 1619 and was knighted by James VI. Charles I later made him a Baronet of Nova Scotia. Thomas’ son had died as a child, so his grandson, another Alexander, was his successor. This Alexander was one of the few Burnett “black sheep”. He was described at the age of sixteen as being “dissolute and naughty” and had managed to father at least 6 children by the time of his death at age 26. The 3rd Baronet, Sir Thomas, who with his wife Margaret produced 21 children in 22 years, was a member of the Scottish Parliament and after the Act of Union with England in 1707 was a member of the Westminster Parliament as well. Alexander, the 14th Laird and 4th Baronet, was mainly famous for refusing to join either of the Jacobite Risings of 1715 and 1745. (An interesting sidebar in regards to the “Forty-Five” is that Prince Charles Edward Stuart [Bonnie Prince Charlie] was sometimes referred to in cipher as “Mr. Burnett” during his time in Scotland). About 1746, a splinter of rock killed the 4th Baronet’s son during the draining of the Loch of Leys. After that tragedy, Alexander developed a “boodie fear of beasties”. In 1759, the 5th Baronet died unmarried and a seven-year battle between two rival Burnett cousins ensued. In the end, Thomas Burnett of Criggie won the legal battle for the title and Crathes Castle. His son Robert fought against the “rebels” in the American Revolutionary War and later became 7th Baronet. Three of Robert’s sons succeeded to the title and all three died unmarried. Meanwhile, the heir to the title and the castle, Sir Robert, had immigrated to California where he was an extremely successful rancher. (He once owned half of the site of what was to become the city of Los Angeles). After marrying a New York woman, he returned to Crathes to become 11th Baronet. His son James had preceded him in death, so Sir Robert’s brother, Colonel Thomas, succeeded as 12th Baronet. Colonel Thomas’ son Major General Sir James Lauderdale Gilbert Burnett of Leys became the 13th Baronet and was at one time the Commander of the Gordon Highlanders Regiment of the British Army. He was the last in residence at Crathes Castle. The 13th Baronet’s two sons, Alexander and Roger, both died as young men, so the estate passed through his daughter Elizabeth to her son James Cecil, who was obliged to change his surname to Burnett in order to succeed to the estate. The title of Baronet passes only through the male line, so the heir to the Baronetcy of Burnett of Leys is Alexander William Burnett Ramsay, who lives in Australia. In the 1200s 1200s the ancestors of the Burnets of Barns settled in an area near Peebles in southern Scotland known as Burnetland. Most scholars agree that the Burnets of Barns are a branch of the Faringdoun Burnetts (Burnards), but a family history written in the 1880s claimed descent from a “Robertus de Burneville”. At that time there was some friction between the Burnet of Barns branch of the family and the Chiefly branch, the Burnetts of Leys, which may explain the desire to claim a different ancestry. This family was originally known as the Burnets of Burnetland. The first of the family to be known as Burnet of Burnetland was John Burnet (1400-1469). He married Marion, daughter of George Claverhill of that Ilk; through this marriage the family acquired the lands of Barns, from which they afterwards took their designation. William Burnet of Barns, born about 1546, became perhaps the most famous of the branch. He was known as the “Hoolet of Barns”, due most likely to his keenness of sight. He is said to have been of great stature and great bodily strength and lived to the ripe old age of 107. Some of the Hoolet’s children became prominent in local and national affairs. His second son, James, graduated from the College of Edinburgh in 1609 and was admitted Minister of Lauder in 1615. He remained at Lauder until 1635 when King Charles I inducted him to Jedburgh. Another of the Hoolet’s sons, Alexander, was a Treasurer-Clerk of Scotland until 1639 and also served as HM Advocate-Deput?. A third son, Robert, also became an advocate and was designated “The Younger” to distinguish him from Robert Burnett of Leys, who was an advocate as well. Captain William Burnett, great-grandson of the Hoolet, joined the army with the Earl of Mar’s Scottish Fusilier Regiment, “The Gray Breeks”. He was wounded at the Battle of Steinkirk in 1692 and died four months later, unmarried. His brother Walter was killed in Flanders, also unmarried.Since there were no other males in the direct line, William Burnet of Kailzie and Barns, first cousin to Captain William and Walter, succeeded to the estates. This William’s great-grandson, James Burnet of Barns, was born May 16, 1776 and sold the Barns estates in 1838. He died in 1855. Although there is no “legal” representative of the Burnets of Barns at this time, it is known that many members are still in Scotland, while others are to be found in various parts of the world. 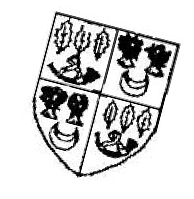 Robert Burnett, Lord Crimond (1592-1661) was a brother of Sir Thomas Burnett of Leys, 1st Baronet. He was an eminent member of the Scottish Bar and was so successful that he was able to purchase several estates, including Crimond in Aberdeenshire, which became his residence. Due to his opposition to the Covenant, he left Scotland on three occasions and once remained in exile for 5 years. On his final return, he lived in retirement on the Crimond estates until the restoration, at which time he was made a Judge of the Court of Session, under the title of Lord Crimond, but he lived only a few months after his appointment. He married twice and had 5 sons and 2 daughters. Three of his sons died unmarried and the two others had no male descendants, so the Burnetts of Crimond are extinct in the male line. 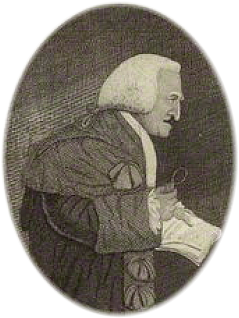 Robert Burnett’s youngest son was Gilbert Burnett, Bishop of Salisbury, one of the more distinguished members of the Burnett family. Sir Thomas Burnett, 6th Baronet of Leys, married Katherine Ramsay, Heiress of Balmain in 1754. Due to provisions in the marriage contract, Sir Thomas had become heir of line of the Ramsays of Balmain after the death in 1806 of Sir Alexander Ramsay, 6th Baronet of Balmain (Katherine’s brother) who left no heirs. Since Thomas’ elder son Robert succeeded to Burnett of Leys, the Balmain title and estates passed to his younger son Alexander Burnett. Alexander was born in 1757 and became Sheriff of Kincardineshire in 1779. On his succession to Balmain, he assumed the name Ramsay by royal license (as well as arms by warrant of the Lord Lyon) and was created a Baronet of the United Kingdom in 1806 as Sir Alexander Ramsay of Balmain. He and his wife Elizabeth Bannerman of Elsick had 15 children. Alexander died in 1810. Alexander’s youngest child, Lauderdale, married her cousin Sir James Horn Burnett of Leys, 10th Baronet, as his second wife. Sir Herbert Ramsay, 5th Baronet of Balmain, immigrated to Australia where he married in 1902. His grandson, Sir Alexander William Burnett Ramsay, born in 1937 in New South Wales, Australia, is the current (7th) Baronet of Balmain as well as the heir presumptive of the dormant Baronetcy of Burnett of Leys. 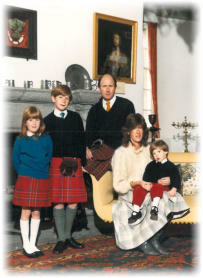 The Burnetts of Monboddo descend from James Burnett of Craigmyle through his third son, also named James. He married twice, his second wife being Elizabeth Irvine of Monboddo, whose estates he purchased from her brothers. His son, Alexander Burnett of Monboddo, married his cousin Margaret Burnett, daughter of Sir Alexander Burnett of Leys, 2nd Baronet. 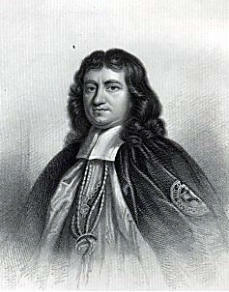 Alexander of Monboddo’s grandson, James Burnett of Monboddo, was the famous Lord Monboddo. He and his wife Elizabeth Farquarson had 2 daughters, the elder of whom, Helen, married Kirkpatrick Williamson, who then assumed the name and title of William Burnett of Monboddo. Helen and Kirkpatrick’s great-grandson, James Shank Burnett-Burnett of Monboddo succeeded in 1905 and was killed by an elephant in India in 1910. At his death he was succeeded by his older son James Malcolm Burnett of Monboddo, who married Gladys Ingram in 1942. James Burnett of Craigmyle was the second son of Alexander Burnett of Leys and Katherine Gordon. When he was 18 years of age he married a cousin, Elizabeth Burnett, daughter of Thomas Burnett of Craigmyle and Tillihaikie. 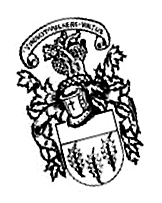 Alexander Burnett of Craigmyle was admitted to the Scottish Bar in 1642 and was a Commissioner of War for Kincardineshire. He married Christian Fraser of Strichen, with whom he had five children. His eldest son, also Alexander, succeeded his father in 1677. In 1682 he was knighted by King Charles II. He married Nicholas Young of Auldbar and produced three daughters. Since there were no direct male heirs, considerable litigation ensued after his death. In the end, everything was decided in favour of his daughters. This branch of the family is now extinct in the male line. Thomas Burnett, 1st Laird of Kemnay, was the second son of James Burnet of Craigmyle. He married Margaret, only child of John Pearson of Edinburgh. 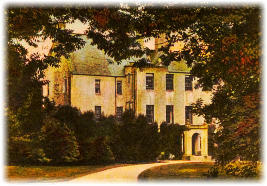 He purchased the estate of Kemnay in Aberdeenshire from Sir George Nicholson in 1688. He did not live long to enjoy his new purchase as he died in February 1689, three months after the death of his wife. Their elder son Thomas (1656-1729) succeeded to the estate. He studied at the University of Leyden and was admitted to the Scottish Bar. After his succession to the estate Thomas employed a factor to run his affairs for him so he could continue his travels in Europe. In 1713 he married Elizabeth, daughter of Richard Brickenden of Inkpen, Berks, England. Their son George (1714-1780) was to become the third Burnett Laird of Kemnay. George became the first of the improving Lairds of Kemnay and by 1759 he had some 130 acres laid out with woodland and enclosed fields. It was in his time that the avenue was planted and much of what became known as the wilderness was planted. He married Helen, daughter of Sir Alexander Burnet of Leys in 1734. Alexander Burnett (1735-1802), their son, was for several years Secretary to Sir Andrew Mitchell of Thainstone who was Minister to the Court of Berlin. Following Mitchell’s death, he was Charge d’Affaires for two years. He returned home in 1772 and settled in Aberdeen. On the death of his father in 1780, he continued the work of development on the estate. In 1781 he married Christian, daughter of John Leslie, professor of Greek at Aberdeen and of Christian, daughter and heiress of Hugh Fraser of Powis. They had 6 children (one of whom died as an infant), including John (1786-1847) the 5th Laird, who married Mary, daughter of Dr. Charles Stuart of Dunearn, Fife. Following Alexander’s death in 1802 his widow carried on much of the management of the estate. She continued to live at Kemnay until John’s marriage on 1814. John continued the improvements at Kemnay, utilising the services of John Smith, the first City Architect of Aberdeen. He had 8 children, including Alexander George, 6th Laird of Kemnay (1815-1908) and George (1822-1890) who was to become Lord Lyon King of Arms. It was during Alexander George Burnett’s tenure as Laird of Kemnay that much of the agricultural changes took place on the estate. In 1849 he married Letitia Amelia, daughter of William Kendall and by her had four children including John Alexander, the 7th Laird. Letitia Amelia died in 1855 and he married Anna-Maria Pledge in 1877 by whom he had another four children. Anna-Maria died in 1885 and then he married Emily Julia Burch in 1893. John A. Burnett married Charlotte Susan, daughter of Arthur Forbes Gordon of Rayne, succeeding to the estate at age 56. Unfortunately, John A. had received no formal training on estate management and having no real income, he had to borrow considerably to live. It was during his tenure in the 1920s that much of the estate was sold off. He and his wife had six children, including Arthur Moubray, 8th Laird (1872-1948). Arthur Moubray Burnett worked in the Merchant Marine from 1895 until 1907 and then went to India where he remained until the outbreak of World War I, when he joined the Calcutta Scottish, serving with them in East Africa. He married Muriel, the widow of his friend Seymour Langham in 1921. His elder daughter Susan Letitia was born in October 1922 and his younger daughter Jean Muriel Moubray was born in 1926. Susan Letitia served with the WRNS during World War II. She met and married Fredrick J. Milton who was serving with the South African Air Force. After the war they farmed in South Africa. Susan’s mother died in 1963 and in 1964 she returned to Kemnay. The above is an abbreviated version of the history of the Burnetts of Kemnay, written for the House of Burnett by Susan Letitia Burnett, grandmother of the present owner, Alexandra Burnett.